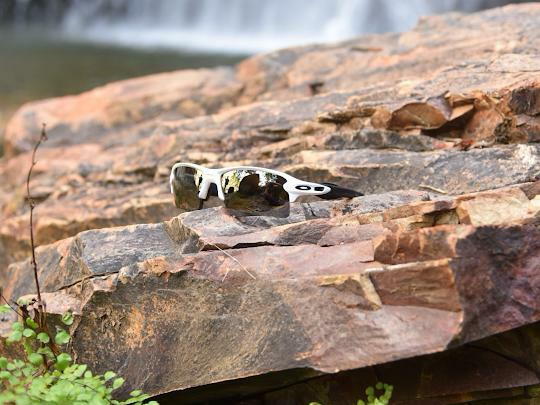 Looking for glasses that can keep up with your active lifestyle? On a recent hike to Big Bend National Park, one of our doctor's wore his new Oakley Flak 2.0 frames with progressive lenses, flash mirror, polarized lenses. He stated the optics were superior and crisp, and the color quality was impressive. When arriving at a waterfall, it was noted the lenses seemed to repel the water easily. They were easily cleaned with a microfiber cloth when necessary. Our office strongly believes in the quality of lenses we sell in our optical. We look for frames that will fit each patient's lifestyle. Our opticians are great at helping each patient make a decision, as each person is unique and has different visual needs. Our friendly staff are great at helping our patients find exactly what they need. We would love to help you find your next pair of glasses to fit your lifestyle. Come by and see us today! Our office is conveniently located in Midland next to Lowe's in the Borgata Shopping Center.